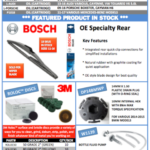 Please check out our June 2017 Product Flyer! 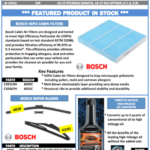 New items in stock include new air filters, Bosch Hepa Cabin Filters, Bosch Wiper Blades, and Throttle Muscle High Mileage Oil Converter! 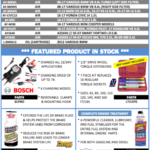 Please check out our May 2017 Product Flyer! 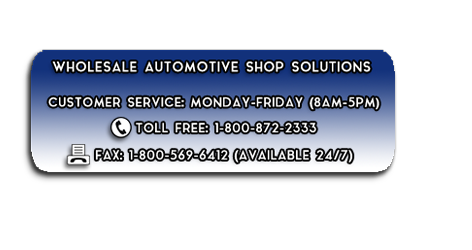 New items in stock include new air filters, oil filters, Bosch battery charger, BrakeShot, 7-piece drive wheel torque extensions kit, and Lucas complete engine treatment!